The Bishop of the North Western Episcopal Area of the Anglican Diocese of Natal, Tsietsi Seleoane, is the new liaison Bishop for Anglicans Ablaze. The event, he said, is a continuation of the Anglican Renewal Ministry that began in the 1970s. “It’s a diverse kind of ministry showing the Anglican life at its best – from extreme Anglo-Catholic to extreme charismatic expressions of our worship, and this is why we want people to see how they can transform their own parishes after being enriched by this renewal ministry in our church”, he said. 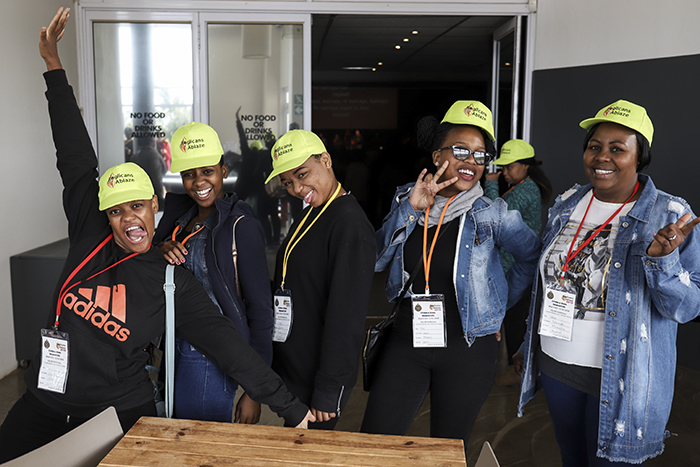 Anglicans Ablaze has a special place in the lives of young people because for the most part, it presents an opportunity for them to experience church in a way that’s different from what they experience in their parishes. Jesse Rajee, an 18-year-old Anglican from Cape Town who was attending Anglican Ablaze for the first time. 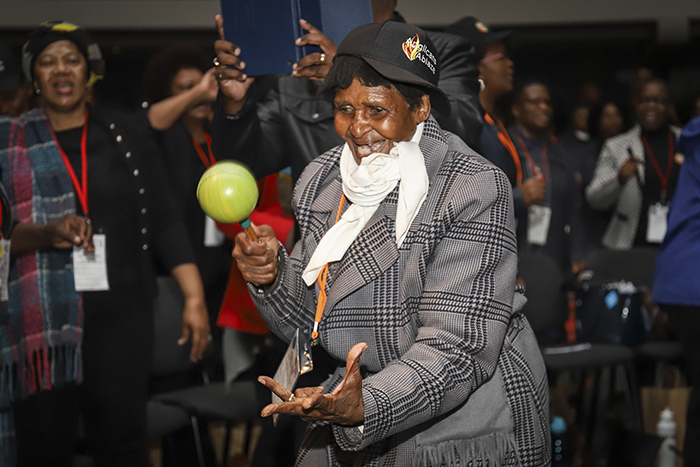 Fun-loving young Anglicans at the Anglicans Ablaze renewal conference in Durban last week. When more than 2000 people meet in one place for a conference such as this one, the amount of garbage produced can be overwhelming. But the organisers foresaw this and came up with various innovations to minimise the amount of waste produced. The highlight of the event came from the prolific church planter and keynote speaker for the conference, Archbishop Moon Hing of West Malaysia, the Primate of South East Asia. He gave a moving account of growing up in a Buddhist family in an area where Christianity accounted for less than one per cent of religious affiliation. Bishop Martin Breytenbach prays for keynote speaker Archbishop Moon Hing. 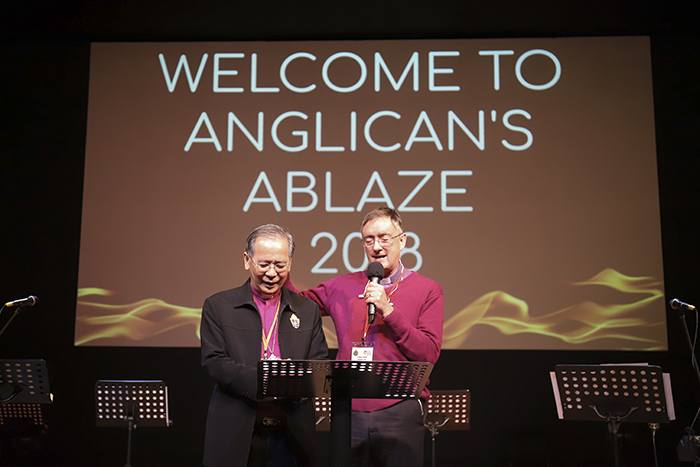 In an interview with the Anglican Communion News Service, he spoke of the importance of Anglican Ablaze: “There is hunger for Christ everywhere – people need motivation, encouragement and direction, and Anglicans Ablaze offers that opportunity and I pray that it spreads to other regions and the whole of the Anglican world. The atmosphere was spirit filled as Anglicans worshipped God in an apparent hunger for transformation and a different kind of experience. Correction: the original headline of this article incorrectly described Anglicans Ablaze as a youth event. The conference has a youth-track; but is an all-age renewal conference.